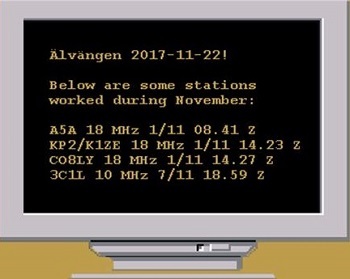 Here you can see a screenshot of my applet showing some DX-stations which I had worked lately. You can also listen to a recent contact by clicking on the icon at the lower left. QSO with VP6D in Ducie Island 10 MHz 25 October at 07.14 Z. My antenna is a 5 band Inv. Vee.